Crime is a real big issue in the world today. The world comprises of many people from the innocent to convicts. Clearing out the fine line between the innocent and the convict can be difficult without fingerprints. Moreover, such difficulties can be eliminated with the help of some advanced technology and fingerprinting equipment. If you are presently dealing with any crime case that requires finger printing device to detect finger prints, then certainly you are at the right place. We can get it done undoubtedly for you using advanced finger printing machines. Our machines are supported with modern technology and software which allows them to give accurate and exact information based on the scanning of the fingerprint. 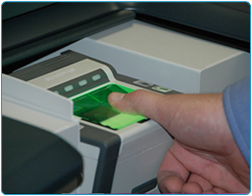 Apart from fingerprint detection, we also offer pardons and waivers services. Canada is the only place where pardons and waivers are given heed and are also considered significant. With pardons and waivers, many people can prove their innocence specifically in crime cases. 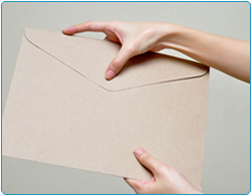 With our Pardons services, we help you in getting your name removed from the list of criminal records all over Canada. Once your name is removed, we will wait for 30 days before taking you to the next level of attaining a healthy, free, relaxed and guilt-free life by getting your name removed from all the record. This process is usually called getting waivers. We also provide criminal background checks for employment purposes and professional certification. Some jobs require applicants or potential employees to undergo criminal background checks as a condition. Moreover, some organizations require ever new member to undergo criminal background checks prior to being admitted into full membership. With a lot of crimes emerging daily, and crime rates increasing drastically, it makes sense that employers and organizations are increasingly relying on criminal background checks. Out experienced and skilled professionals can also help you in getting police clearance or police certificates so that you can attach it to your documents where and when you require it to prove your innocence or non-criminal record. We also provide Fingerprinting services to people outside Canada. Many people outside Canada may be required to obtain fingerprint records from Canada if they have ever visited Canada, even for as little as few hours. Many countries require such evidence for the purpose of proving that the person did not commit any crime when they visited Canada. We are here to help you. 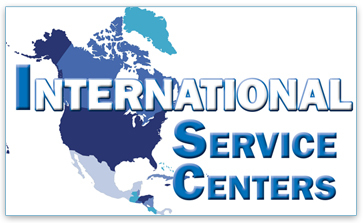 We offer excellent international fingerprinting services for people abroad. We also assist client with the writing of Affidavits and Statutory Declarations. We write all forms of Affidavits and Statutory Declarations, including affidavit of single status, proof, Statutory Declaration for marital status, affidavit of proof of loss, affidavit to add spouse to benefits, affidavit of lost or damaged passport, among others. No matter the nature or type of affidavit and statutory declaration, we are here to write them for you. In case you want to hand over the control of your affairs to another person, then certainly you need to create a Power of Attorney. We write all forms of Power of Attorney, including Power of Attorney for Property, Power of Attorney for Personal Care, and Power of Attorney for Specific or General Purpose. 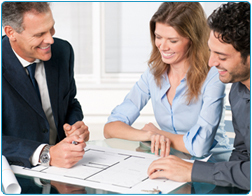 Give us all the details and we will create a highly efficient and functional power of attorney for you. In keeping up the pace with security measures, it has become mandatory in many countries to first pass the finger printing test so that the individual’s identity can be checked. If the person passes the test and does not have any criminal record, then only that person is allowed to enter a particular country either for travelling purposes, business, pleasure or visit. or any other time by appointment. We work Monday to Saturdays and on holidays by appointment.